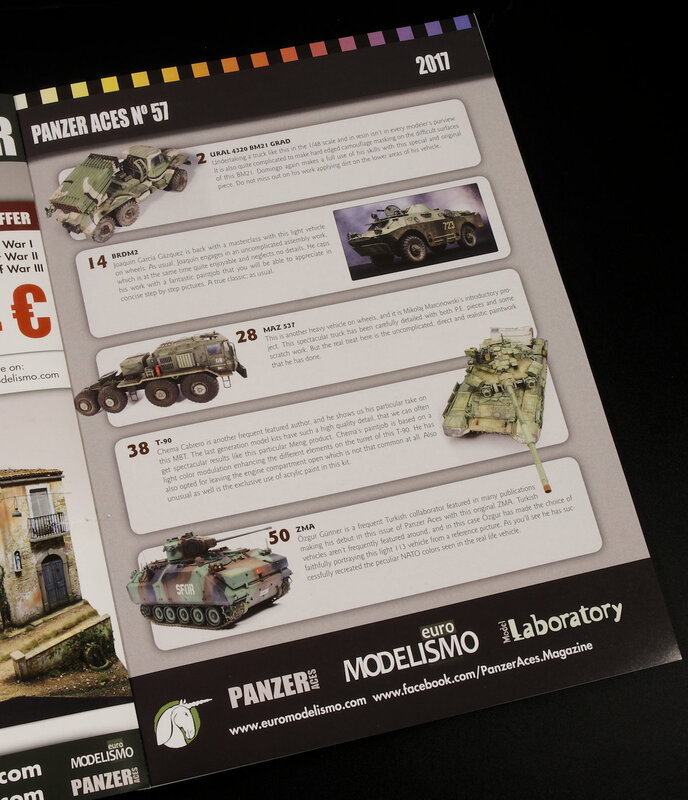 Recently Euromodelism has released their latest "special" edition of their magazine "Panzer Aces" that is provided in both Spanish and English languages. We say it is special because we can read this one - so we got to reading it right away after it turned up in the post. This issue comes in the regular soft (ish) cover with a matte finish and sixty-four pages of semi-matte pages inside. The magazine has a cover price of eleven euro, however, it is this price because there are so little pages used for advertisements. Only two single sides of pages inside and inside covers feature adverts, so sixty-three pages of the magazine out of sixty-four in total. This is more like a thin book to us than a lot of the magazines we see, and it is one of the reasons we continue to review the series, and something of a marketing model a few other magazines could take up for the better. So already off to a good start. 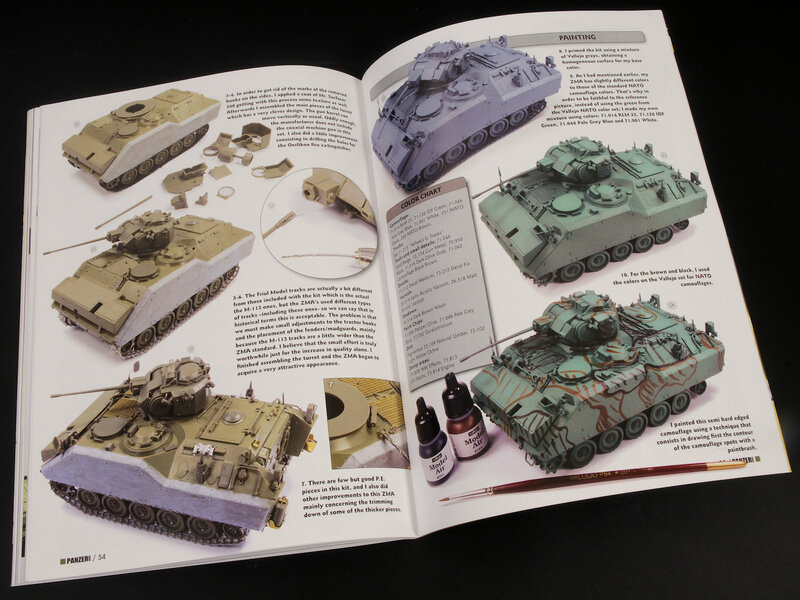 Issue 57 features five full builds of new model kits and one smaller "how-to" article. We will take a walk through them now one by one. 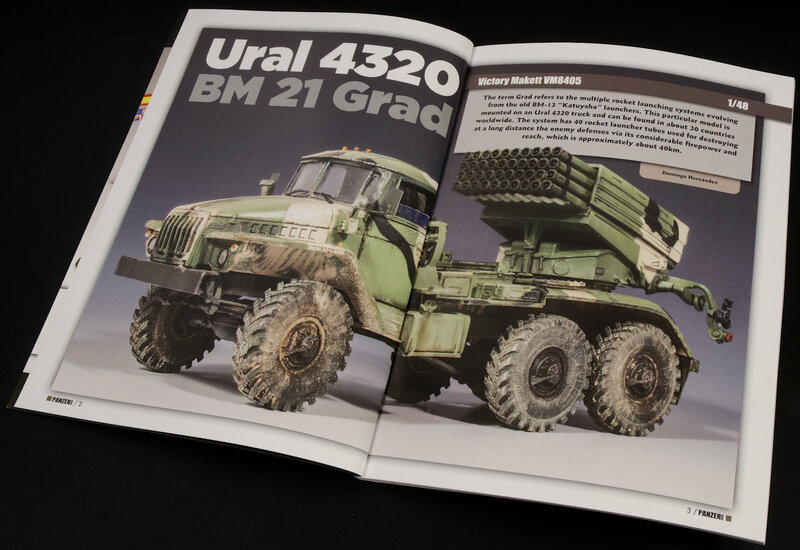 The first model in the magazine is the Ural 4320 BM21 Grad Missle truck in 1/48 scale by Domingo Hernandez. This is a great big truck with some huge missile son it, but the 48th scale tends to keep the sheer size of it down compared to the 35th scale many of us build in. There are several times that you forget that this is this smaller scale and another thing a lot of people might not realize is that this is a resin kit from the Victory Makett company. Domingo's story of the build is weighted very nicely, he gives us some pages on the building of this little known but very nice looking resin kit, with lots of attention given to his thoughts on the kit and how he improves it before he goes into the painting. 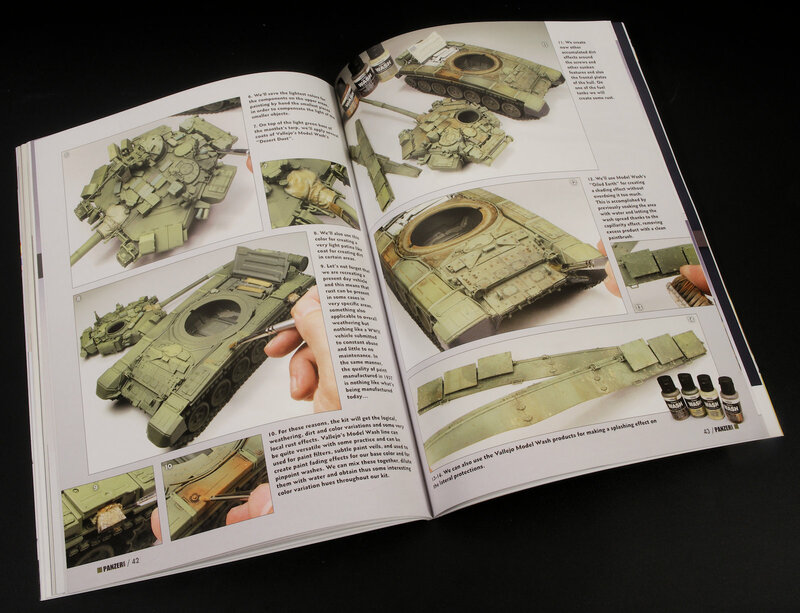 The painting and weathering part of the article is also well fleshed out with the Step-by-Step method used in this article continuing from start to finish, it is a great way to kick this issue off. the result is a perfectly weighted article with a great little model at the end. 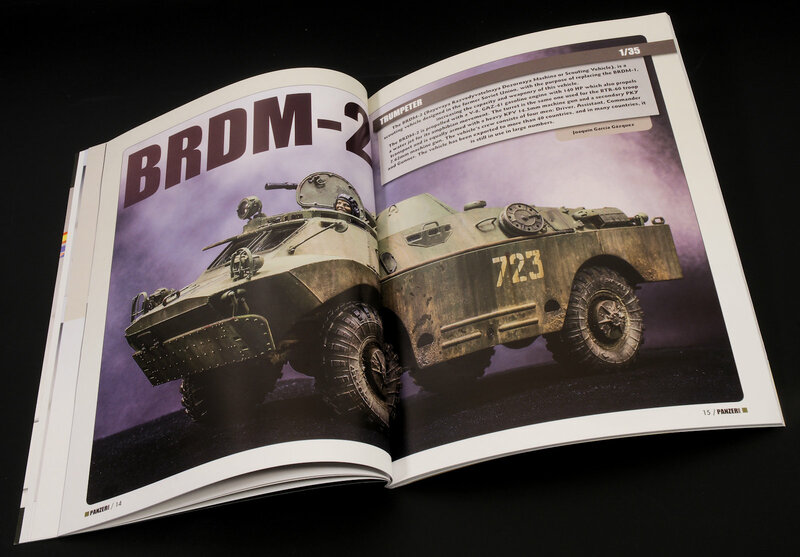 One of my favourite modellers is next, Joaquín García Gázquez presents his build of the 35th scale Trumpeter BRDM2. After the only very necessary introduction into the history of the vehicle before he gives us a series of step by step construction notes on the building of the kit. Again, I was impressed as I really like to read about the kit and how it goes together, and what can be added to improve the kit. I again was really happy to see this added. 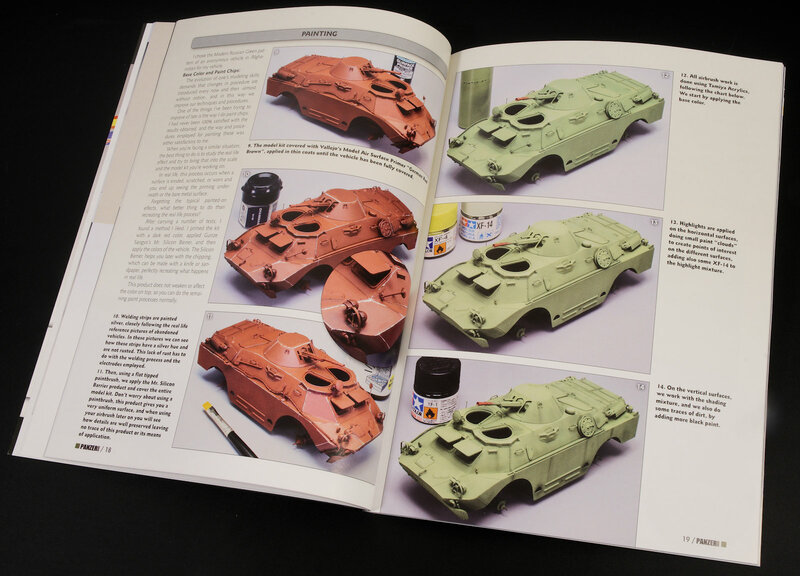 We also look at the pre-shading and undercoating of the vehicle before propper painting and weathering begins. The many layers Joaquín adds to his models make quite an impact and he shows us how he achieves this on top of a basically painted kit. The chipping and oils are applied with pigments to dirty and streak this vehicle, a driver is included as he always does, the other thing he tends to always do is make a great kit, and he does not disappoint here. 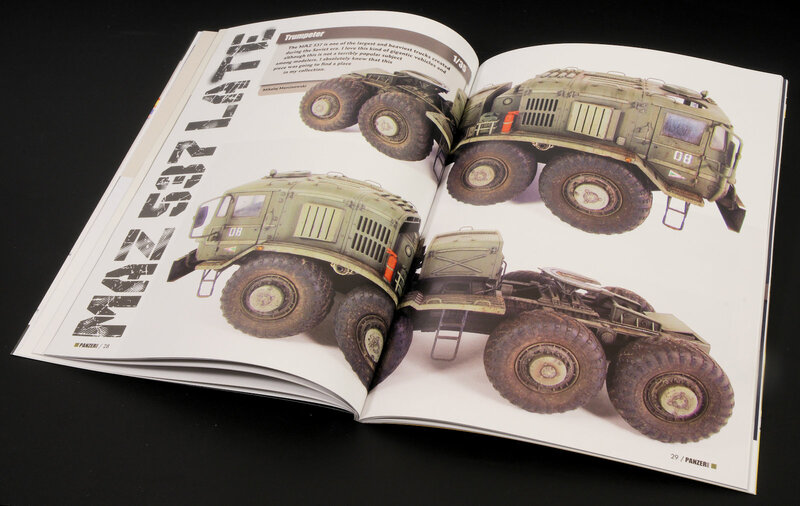 We next see a build from Mikolaj Marcinowski, the Trumpeter 35th scale MAZ 537. 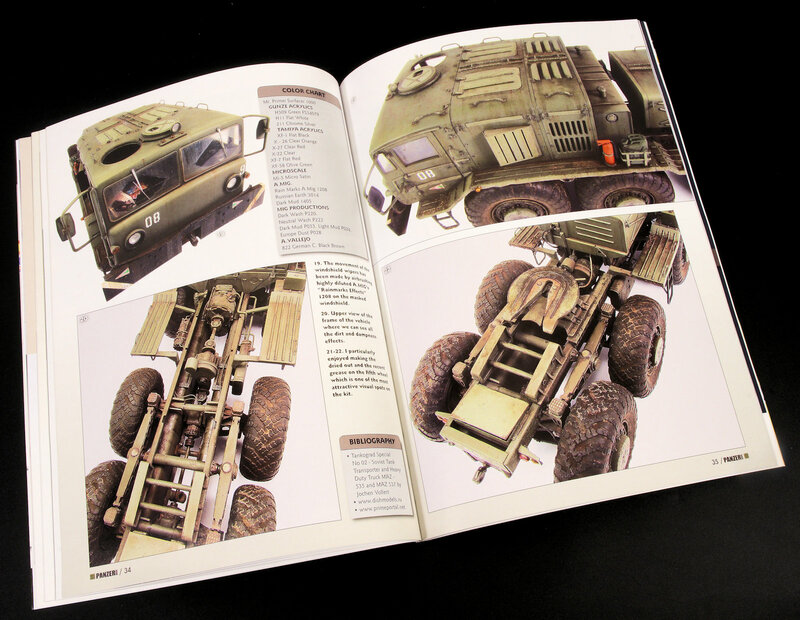 His first build for this magazine, the model and article are right at home in this company. 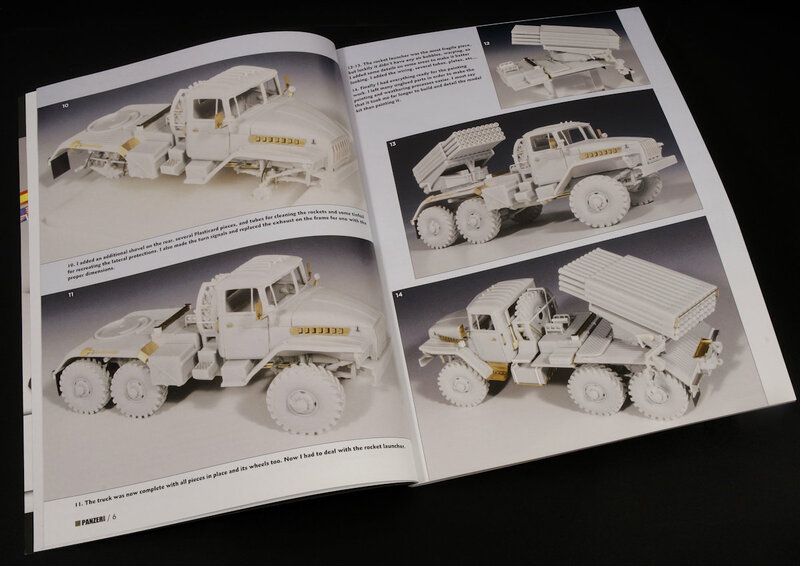 There is a whole lot of scratch building and additional photo-etch that is added to the model, the Trumpeter kit is nice but made a whole lot nicer as shown and described by Mikolaj. The result is more than most would expect to see on this kit and I am thankful for the expose into the building process. The painting process shown here is a little briefer, it is just enough to cover what is going on, but not quite as much as we have seen already. Still a great first time effort by a talented modeller. 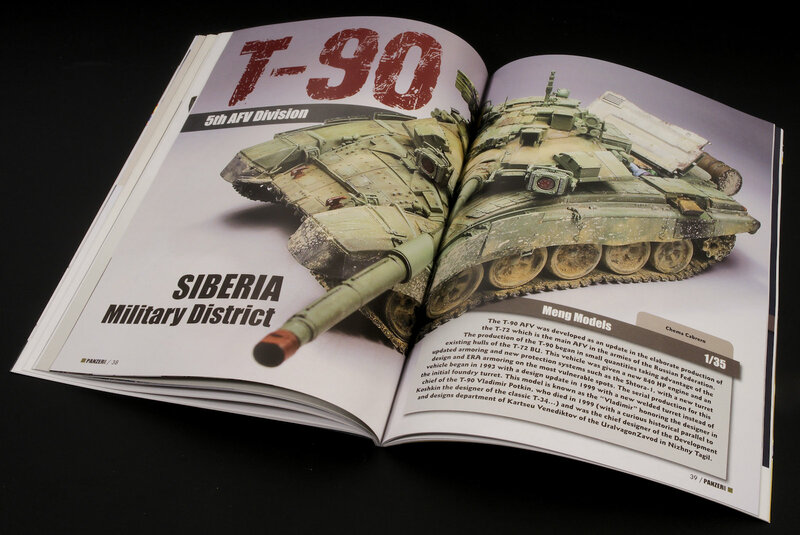 The Russian MBT is next, with the 35th scale T-90 from Chema Cabrero, who is a very good modeller. 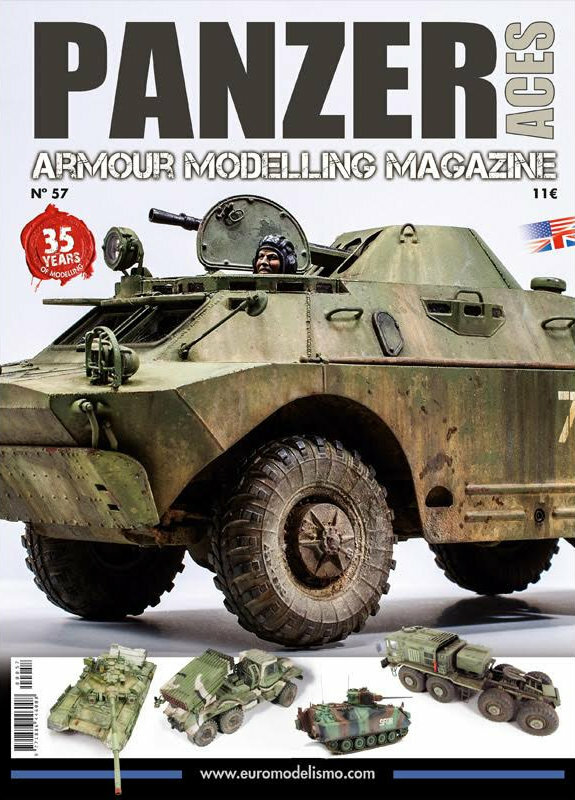 Meng'skit in 35th scale is a great kit, but we do not see much (any) of the construction in this article as the modeller gets straight to the painting and weathering of the kit. 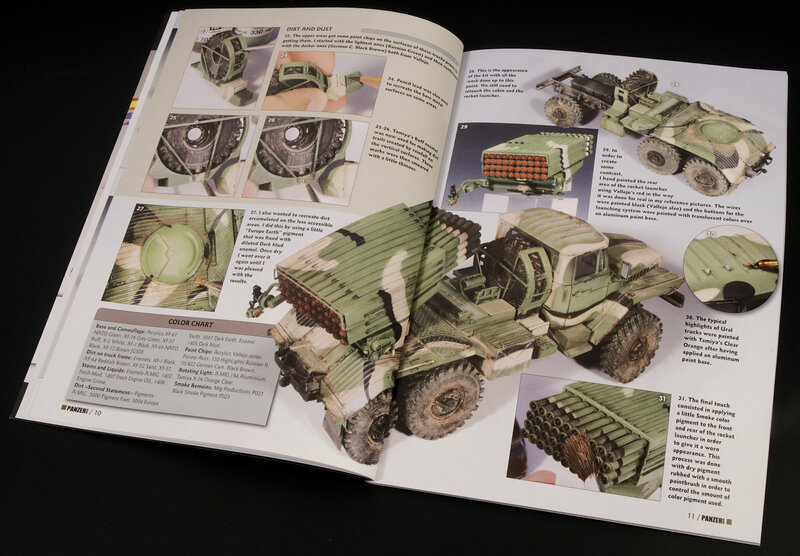 That is a bit of an oversight to me, also of note in this article is the lack of exposure of the work on the model, the author instead providing us with a large chunk of block text that is spent on talking about the history and deployment of the tank rather than the great modelling on show. More about making the tank and less chat about the tank my man. People know this tank, a short intro of one or two paragraphs is all that is needed believe me. The work on display in the weathering and painting of the kit is just great, but more of it, please. More about the open engine compartments and why and how you chose the colours and weathering and this article would have been a lot better. 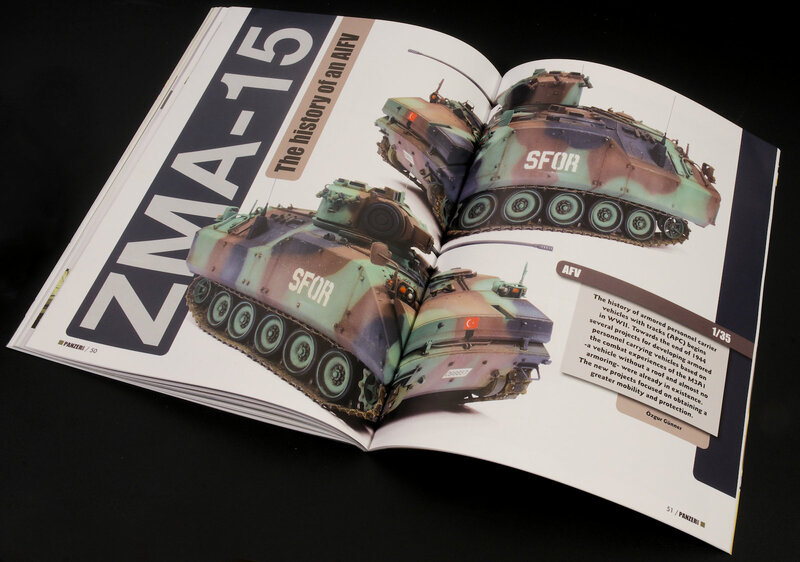 Özgur Günner is one of Turkey's best modellers, and he returns with a second crack at making the Turkish made AFV, the ZMA. 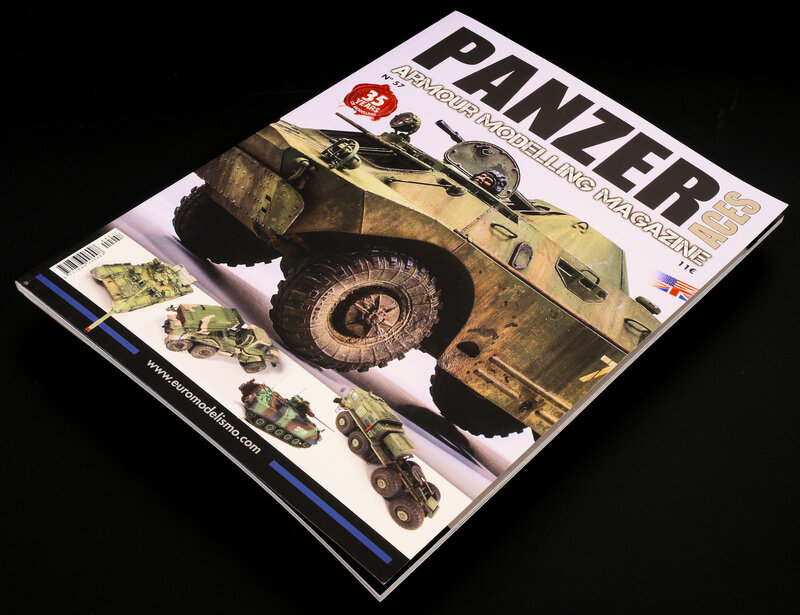 This kit in 35th scale from AFV club is a little more obscure, and in light of what I just said about the last article talking about the real thing too much, it was good to learn a little about this vehicle before the build started. Özgur gives us nearly equal parts here in expose, model build and painting and weathering parts. 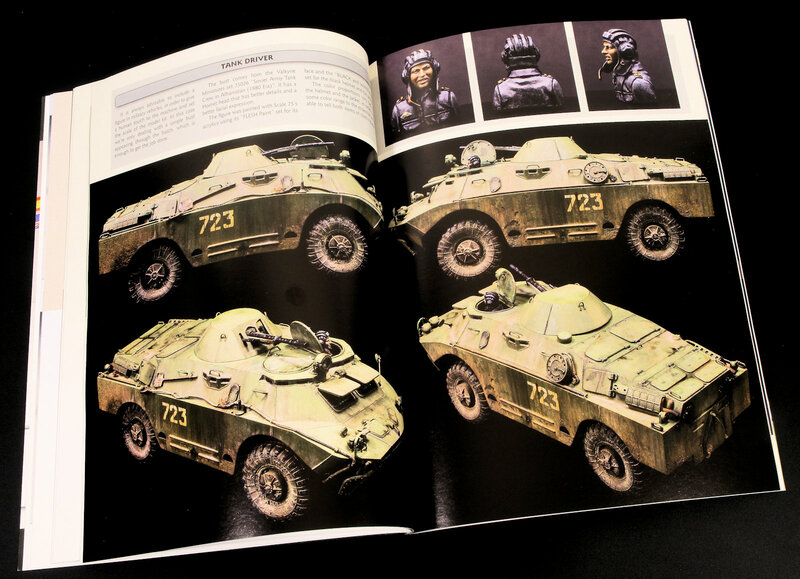 Using mostly Vallejo paints and weathering products we see the AFV replicated in the NATO colours that this vehicle gets around with in real-life. An impressive job here, on a tank that looks in a fairly new-ish condition, but never the less still a good build and story. Lastly, we have "Modelling Lessons" with Michel Pérez Blasco. 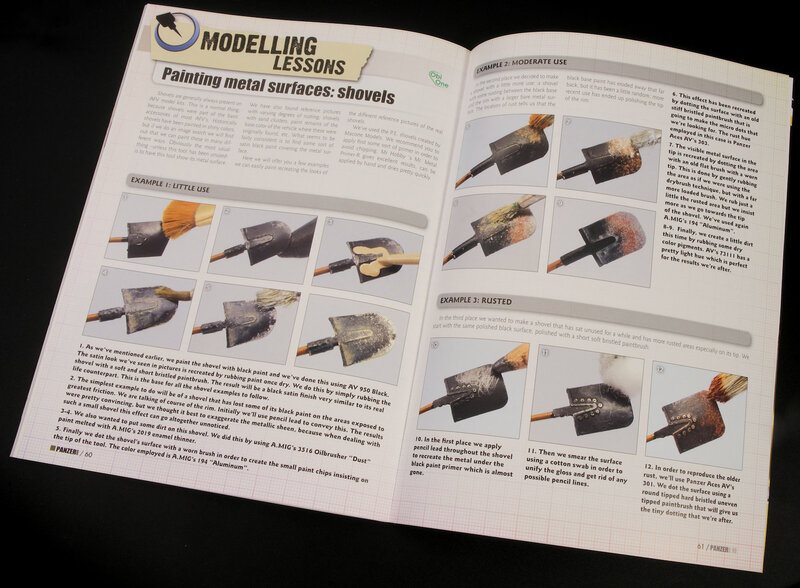 In these two pages, we look at four shovels... But there is more to it than that. The whole process of creating a realistic tool that might sit on your tank is the theme here with a step by step lesson of how to get the best out of the smallest but most important facets of detailing a tank. We finish up by adding the editor's notes which are always with a read, and that is it for this magazine. 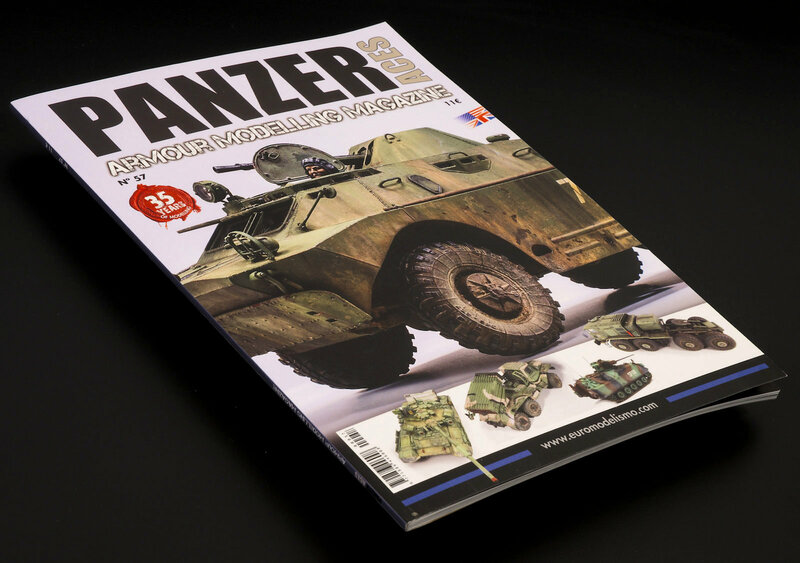 I have seen plenty of these magazines from Panzer Aces. This one is one of my favourites and the reason why is the balance of the builds. The mix of an intro, the model build and the painting and weathering is neatly split up into three parts for nearly every tank. That is great for this reader, as I like to see more about the kit than many magazines that are focused on selling painting products seem to do nowadays. Great modelling, neatly told by step-by-step descriptions is what we want to see more of (and minimal advertisements - both overt and hidden away by product placement.) This magazine is realy welll done.